The Expedition 53 crew aboard the International Space Station is gearing up for the third and last in a series of spacewalks planned this month to complete repair work on the Space Station’s robotic arm and deal with broken cameras and other outfitting tasks on the exterior of the complex. Stepping outside on Friday, Astronauts Randy Bresnik and Joe Acaba will complete work on Canadarm2, continue revamping the external camera system and prepare for future robotic maintenance activities outside the modules. 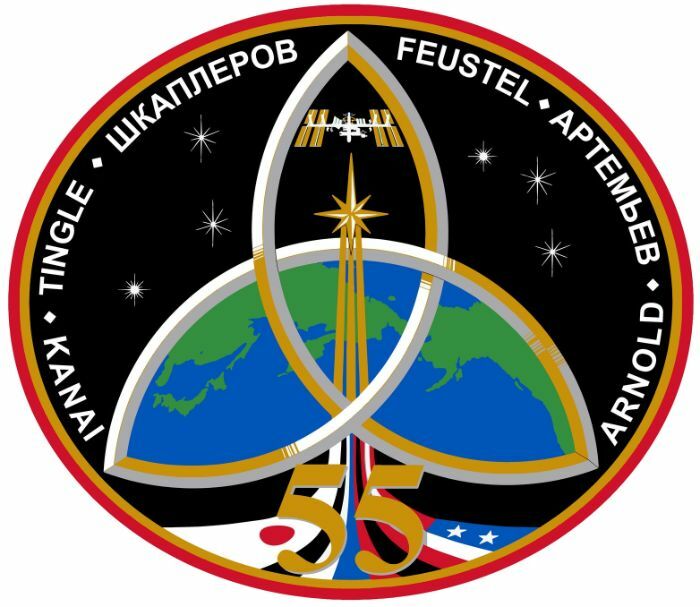 Expedition 53 crew members Randy Bresnik and Mark Vande Hei spent almost thirteen and a half hours working outside on the two previous EVAs in this series, completed on October 5 and 10 to great success as each excursion saw the completion of all primary tasks plus two bonus get-ahead tasks. 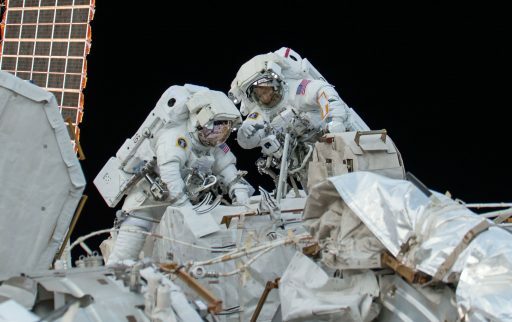 This allowed time to be freed up for Friday’s EVA so that additional tasks could be added for the last EVA and leave ISS in a better posture than initially expected. The major objective of the three October EVAs was the replacement of one of two Latching End Effectors (LEE) on the Space Station’s robotic arm that had suffered a motor stall within its latches back in August which left it without an ability of forming a power/data bridge with whatever it is grasping, also precluding it from walking from one base point to another. 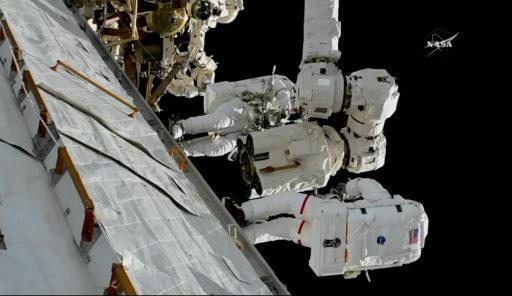 The LEE-A replacement on October 5 went without any major issues and the second spacewalk by Bresnik and Vande Hei was dedicated to lubricating the newly installed end effector to ensure its moving parts can operate smoothly for years to come. Additional tasks completed during the EVAs included the replacement of an external camera group that had exhibited a bothersome pink hue due to a faulty filter wheel. With the robotic arm back in working condition, ROBO operations were able to resume where they left off in August with the replacement of an external power switching box known as a Remote Power Control Module or RPCM. The RPCM in question, designated P12B-B, powers the String 2 S-Band transmitter responsible for receiving and sending data, including commands from Mission Control, as part of a redundant system. The outage of the RPCM was without consequence as S-Band String 1 continued to operate while Canadarm2 ops had to stand down. Giving the new Latching End Effector a test drive, Canadarm2 picked up the two-armed Dextre robot and maneuvered it in position to access the faulty power module on the Station’s truss earlier in the week. The failed RPCM was pulled out of its slot without issue but the installation of the spare unit required two attempts by ROBO controllers before the replacement could be declared complete in the evening hours on Wednesday. 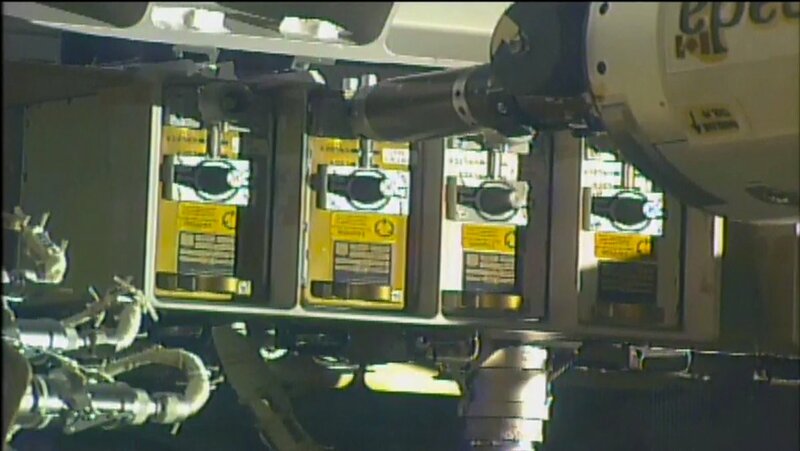 Dextre was then stowed and ROBO controllers pushed into preparations for SSRMS support of Friday’s EVA. 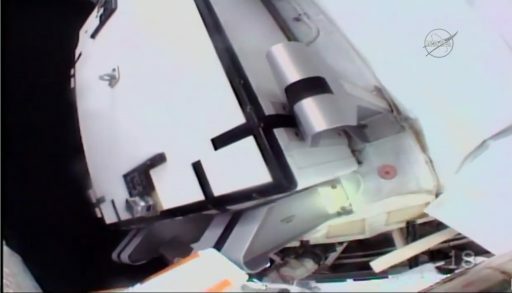 Bresnik and Acaba plan to begin their EVA at 12:05 UTC after the usual multi-hour process of getting into their suits, pre-breathing pure oxygen, checking all EMU systems and going through a methodical airlock depressurization process. U.S. EVA-46 is the fifth career EVA for Randy Bresnik after he already added two spacewalks to his record earlier this month. He will be reprising his role as the lead spacewalker or EV-1, wearing Extravehicular Mobility Unit #3003 with red stripes. 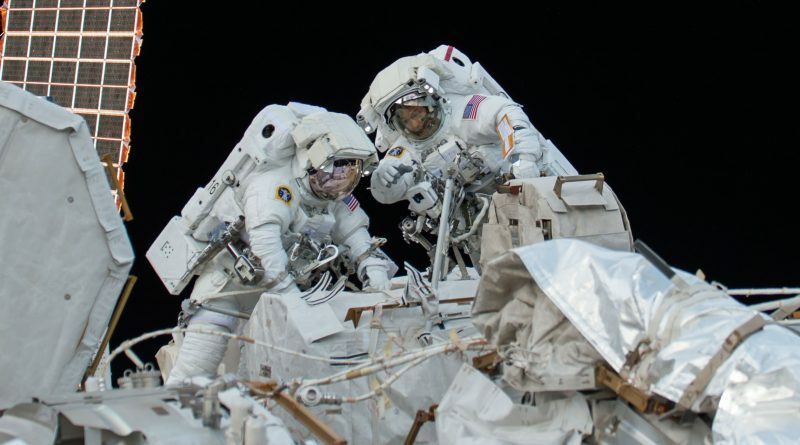 For Joe Acaba, it will be the first EVA of this mission and the third career spacewalk after he supported a pair of six-and-a-half-hour excursions as part of the STS-119 mission in March 2009. He will use EMU #3008 without stripes. The two crew members will be looking at a slightly different EVA task list as a number of items originally planned for the third EVA have already been checked off through fast work on the first two spacewalks. The continued lubrication of the newly installed LEE-A has been deleted from the EVA as Mark Vande Hei already greased the most important components of the end effector on EVA-45, leaving the LEE in good condition as is. The replacement of a camera system on the Destiny laboratory was also deferred to another spacewalk to make room for the replacement of a Camera Light Assembly (CLA) on Latching End Effector A. 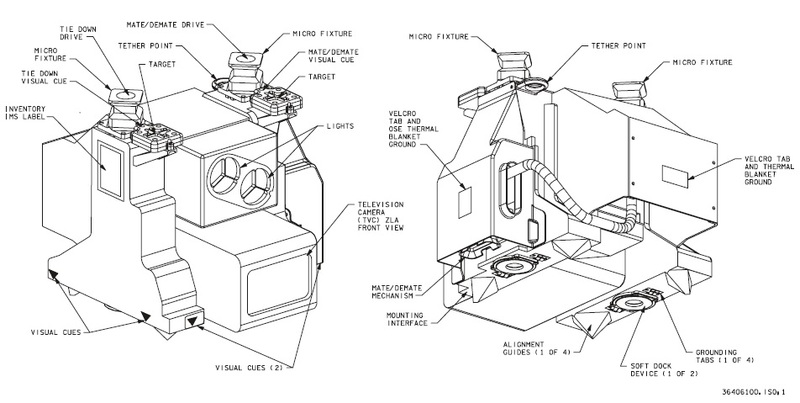 Per the original plan for EVA-46, the robotic arm will be parked on the starboard truss of ISS after the bulk of work on EVAs-44 and 45 occurred on the port side. On the agenda for Randy Bresnik will be the replacement of a failed fuse on the Dextre robot that provides a redundant power supply to payloads installed on the robot’s temporary holding platform formally known as the EOTP – Enhanced Orbital Replacement Unit Temporary Platform. 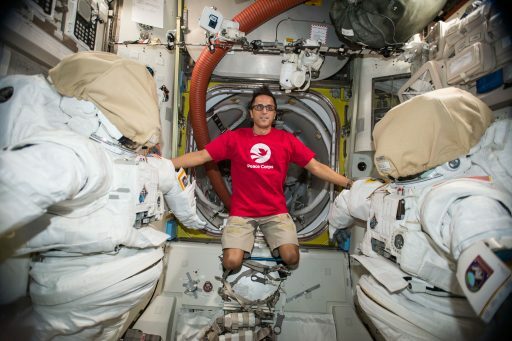 Meanwhile, Joe Acaba will be outfitting the robotic arm for two EVA tasks involving the SSRMs. Joe Acaba will take a ride on the arm for the installation of an HD Camera on the existing Camera Group on Camera Port 3 on the lower face of the S1 truss segment, continuing to bring the Station’s external TV system into the current century by adding high-definition capability. 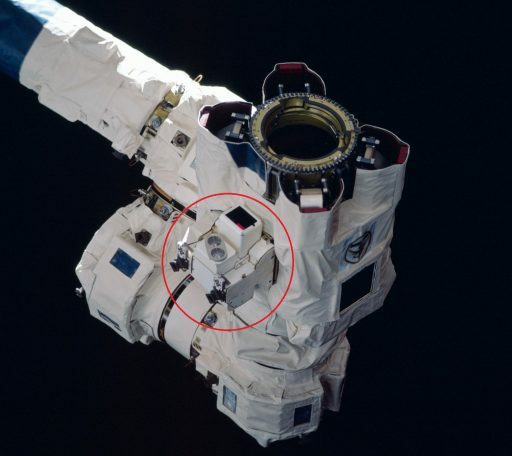 CP-3 was to receive its HD Camera back in May on EVA-42 by Peggy Whitson and Jack Fischer; however, the task had to be deferred when the EVA was shortened due to an airlock equipment malfunction. The first two external HD cameras were installed on U.S. EVA-37 last year and their views have not disappointed and have also come in handy for engineering assessments of external systems. The External High Definition Camera Assemblies (EHDCAs) have been specifically designed as an add-on, not requiring the existing camera network to be touched to maintain its full functionality. Each EHDCA houses a commercial Nikon D4 DSLR in a pressurized, thermally controlled housing. An electrical motor is responsible for setting the zoom level on a 28-300 lens which will allow for close-up inspections of external components. The cameras can be operated to deliver 720p, 60fps video or 16.2-megapixel still images (ISO 100-12800), making them an extremely useful tool for external inspections carried out remotely from the ground as well as Earth imaging without the need for crew time. Each 12.8-Kilogram EHDCA comprises a pressurized enclosure, holding the commercial off the shelf camera, the lens assembly, a power supply, heaters and a data system consisting of an h.264 video encoder, an Ethernet switch and a pair of wireless radio antennas. To avoid excessive external reconfigurations, the camera units were designed to only tap into the Station’s 120 VDC power supply and send imagery wirelessly to the inside of the Station where footage is stored ahead of downlink to the ground. Therefore, installing the cameras is relatively simple, requiring Acaba to slide the new camera into place, secure its mechanical connection and plug into the CP electrical circuit. In the new arrangement, the SD and HD video cameras share a Camera, Light Pan and Tilt Assembly and always point to the same direction. The second task involving Canadarm2 is the replacement of the Camera and Light Assembly (CLA) on the recently installed Latching End Effector A to provide ROBO controllers with a clear and bright view of the LEE’s targets for proper positioning when grappling items. The current LEE-A (S/N 203) spent its first 15 years on ISS as the end effector of the POA (Payload/ORU Accommodations), a temporary holding platform on the Mobile Base for stowing large, powered payloads as part of robotic operations, essentially giving Canadarm2 an extra hand for holding onto items while going through base changes, etc. Delivered in 2002, the LEE was only actuated 14 times as part of its POA duties; however, its systems – including the CLA – had to weather the challenging space environment for an extended period. Therefore, space-induced degradation on the camera and/or light was not a major surprise. 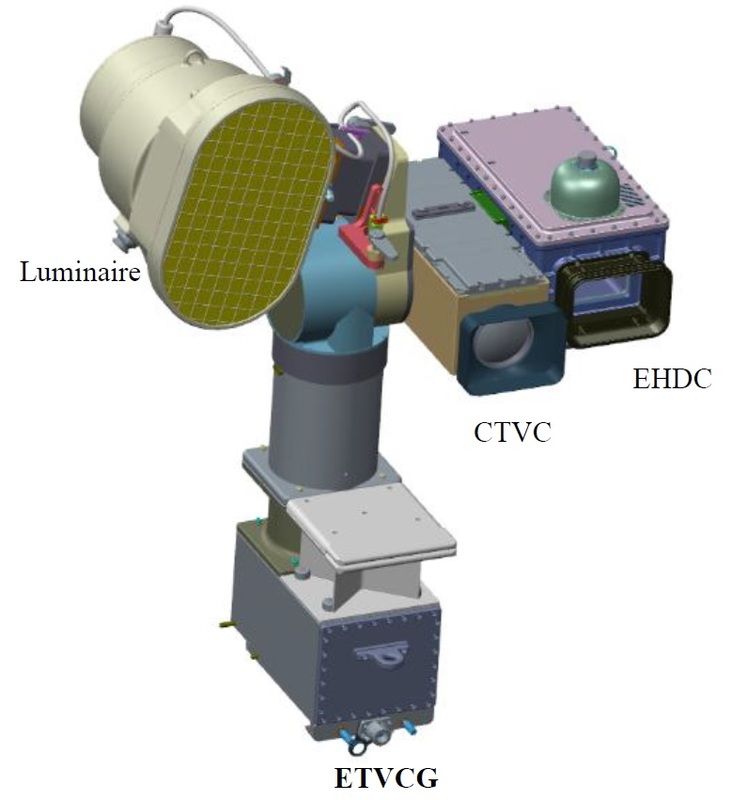 In order to have LEE-A at full functionality for visiting vehicle grapples and external maintenance operations, teams desire to replace the CLA on EVA-46. Weighing under 16 Kilograms, the CLA attaches to the End Effector with two bolts that can be driven via a pair of Micro Devices on the top side of the CLA. For the replacement, the EVA crew will release the two bolts, remove the failed unit and put the replacement into a soft-docked configuration making use of magnets and alignment guides. Blind-mate connectors will automatically form the power/data interface between the LEE and the CLA as the new unit is put in place, requiring the two bolts to be driven to torque using the Pistol Grip Tool. The other prime tasks laid out for EVA-46 will see the continuation of the removal of Multilayer Insulation Covers from various Orbital Replacement Units stowed on the Station’s two External Stowage Platforms and four Express Logistics Carriers. When being launched on the Shuttle, most ORUs had a thermal blanket installed on them to shield them from the extreme thermal variations outside the Station as well as debris and micrometeoroid impacts. 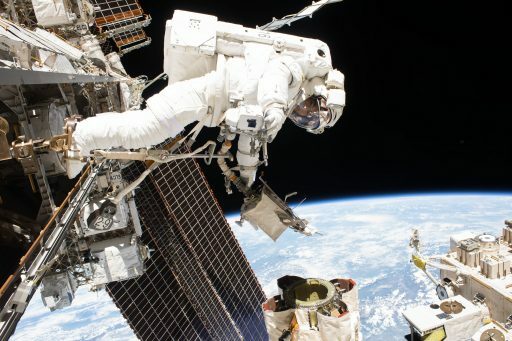 However, as the Station’s Canadarm2 and Dextre robot expanded their capabilities and proved they could handle the replacement of the majority of ORUs on their own, without a spacewalking crew present, a new problem arose. Dextre and Canadarm2 are perfectly equipped to deal with the ORU replacement, but they can not retrieve spares that are covered with MLI blankets. Thermal analysis showed the units would not suffer any major degradation if left uncovered and their exterior chassis was also built to handle typical MMOD hits, allowing them to be uncovered for robotic access. 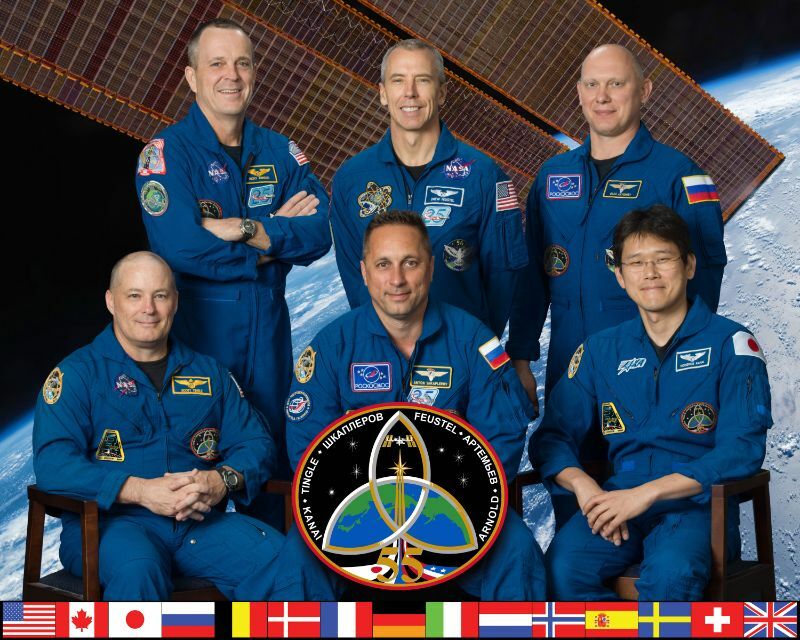 Over the course of a number of recent EVAs, crews removed a number of MLI blankets as fairly straightforward get-ahead tasks that could have a meaningful impact down the road – allowing standard ORU replacement operations to be completed robotically and so eliminate a spacewalk that would require precious crew time better spent with ISS utilization operations. A number of get-ahead tasks are available for the EVA should time permit additional work to be completed. The crew has completed the assembly of the External Television Camera Group (ETVCG) earmarked for Camera Port 13 on the Destiny Lab and is likely to position it in the airlock to be available for installation should EVA time allow. Other available get ahead tasks include additional MLI removals to make more spare parts accessible to the Station’s robots.